Some of the most God glorifying works ever penned for the good of the church - written by one of the greatest thinking English Puritan Theologian that ever lived. Communion with God, Christian Heritage. ISBN 1-84550-209-4. Collected Works in 16 Volumes from the Banner of Truth Trust. ISBN 0-85151-392-1. Commentary on Hebrews in 7 volumes from the Banner of Truth Trust. ISBN 0-85151-619-X. The Mortification of Sin, Christian Heritage Publishers. ISBN 1-85792-107-0. Biblical Theology: The History of Theology From Adam to Christ or The Nature, Origin, Development, and Study of Theological Truth, In Six Books, Soli Deo Gloria Ministries. ISBN 1-877611-83-2. Sin & Temptation: The Challenge to Personal Godliness. An abridgement by James M. Houston for modern readers of two of Owen’s works. ISBN 1-55661-830-1. The Glory of Christ: His Office and His Grace. ISBN 1-85792-474-6. The Oxford Orations of Dr. John Owen. Ed. Peter Toon. Trans. [from the Latin] supervised by John Glucker. Callington (Cornwall): Gospel Communication. 1971. ASIN B003HLGLIY. Online edition. A Brief Declaration and Vindication of the Doctrine of the Trinity, as also of the Person and Satisfaction of Christ (1699) – a refutation of Socinianism, in particular against the teaching of John Biddle. 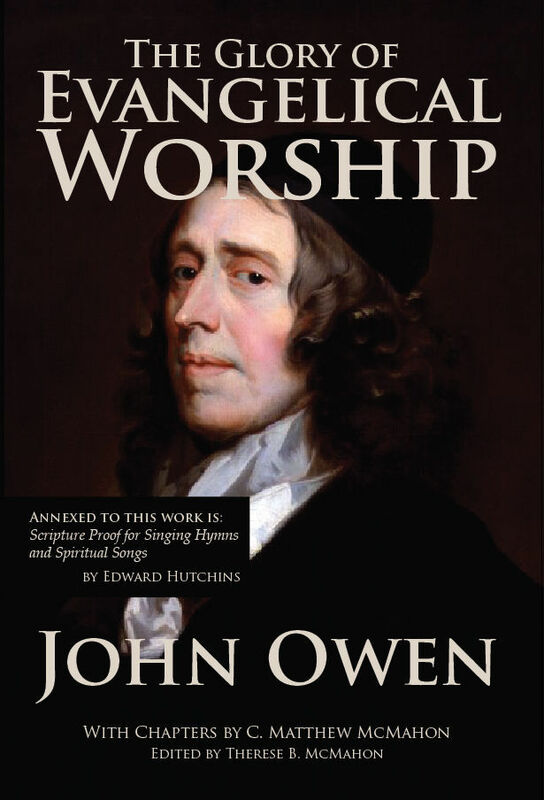 John Owen (1616-1683), theologian, was born of Puritan parents at Stadham in Oxfordshire in 1616. At twelve years of age he was admitted at Queen’s College, Oxford, where he took his B.A. degree in 1632 and M.A. in 1635. During these years he worked with such diligence that he allowed himself but four hours sleep a night, and damaged his health by this excessive labour. In 1637 he was driven from Oxford by his refusal to comply with the requirements of Laud’s new statutes. Having taken orders shortly before, he became chaplain and tutor in the family of Sir Robert Dormer of Ascot in Oxfordshire. At the outbreak of the civil troubles he adopted Parliamentary principles, and thus lost both his place and the prospects of succeeding to his uncle’s fortune. For a while he lived in Charterhouse Yard, in great unsettlement of mind on religious questions, which was removed at length by a sermon which he accidently heard at St Michael’s in Wood Street. His first publication, in 1642, The Display of Arminianism, dedicated to the committee of religion gained him the living of Fordham in Essex, from which a “scandalous minister” had been ejected. Here he was married, and by his marriage he had eleven children. Although he was thus formally united to Presbyterianism, Owen’s views were originally inclined to those of the Independents, and, as he acquainted himself more fully with the controversy, he became more resolved in that direction, though later he would return to Presbyterianism (as seen in his writings). He represented, in fact, that large class of persons who, falling away from Episcopacy, attached themselves to the very moderate form of Presbyterianism which obtained in England as being that which came first in their way. His views at this time are shown by his Duty of Pastors and People Distinguished. At Fordham he remained until 1646, when, the old incumbent dying, the presentation lapsed to the patron, who gave it to some one else. He was now, however, coming into notice, for on April 29 he preached before the Parliament. In this sermon, and still more in his Thoughts on Church Government, which he appended to it, his tendency to break away from Presbyterianism is displayed. He now became acquainted with Cromwell, who carried him off to Ireland in 1649 as his chaplain, that he might regulate the affairs of Trinity College; while there he began the first of his frequent controversies with Baxter by writing against the latter’s Aphorisms of Justification. In 1650 he accompanied Cromwell to Scotland, and returned to Coggeshall in 1651. In March Cromwell, as chancellor, gave him the deanery of Christ Church, and made him vice-chancellor in September 1652. In 1651, October 24, after Worcester, he preached the thanksgiving sermon before Parliament. In October 1653 he was one of several ministers whom Cromwell, probably to sound their views, summoned to a consultation as to church union. In December in the same year he had the honour of D.D. conferred upon him by his university. In the Parliament of 1664 he sat, but only for a short time, as member for Oxford university, and, with Baxter, was placed on the committee for settling the “fundamentals” necessary for the toleration promised in the Instrument of Government. He was, too, one of the Triers, and appears to have behaved with kindness and moderation in that capacity. As vice-chancellor he acted with readiness and spirit when a general rising in the west seemed imminent in 1655; his adherence to Cromwell, however was by no means slavish, for he drew up, at the request of Desborough and Pride, a petition against his receiving the kingship (see Ludlow’s Memoirs, ed. 1751, p. 224). During the years 1654-58 his chief controversial works were Divina Justitia, The Perseverance of Saints (against Goodwin) and Vindiciae Evangelicae (against the Socinians). In 1658 he took a leading part in the conference which drew up the Savoy Declaration. Baxter declares that at the death of Cromwell Owen joined the Wallingford House party. This, though supported by the fact that under the Restoration he had among his congregation a large number of these officers, Owen himself utterly denied. He appears, however, to have assisted in the restoration of the Rump Parliament, and, when Monk began his march into England, Owen, in the name of the Independent churches, to whom Monk was supposed to belong, and who were keenly anxious as to his intentions, wrote to dissuade him from the enterprise. In March 1660, the Presbyterian party being uppermost, Owen was deprived of his deanery, which was given back to Reynolds. He retired to Stadham, where he wrote various controversial and theological works, in especial the laborious Theologoumena Pantodapa, a history of the rise and progress of theology. In 1661 was published the celebrated Fiat Lux, a work in which the oneness and beauty of Roman Catholicism are contrasted with the confusion and multiplicity of Protestant sects. At Clarendon’s request Owen answered this in 1662 in his Animadversions; and this led of course to a prolonged controversy. Glarendon now offered Owen perferment if he would conform. Owen’s condition for making terms was liberty to all who agree in doctrine with the Church of England; nothing therefore came of the negotiation. In 1663 he was invited by the Congregational churches in Boston, New England, to become their minister, but declined. The Conventicle and Five Mile Acts soon drove him to London; and in 1666, after the Fire, he, as did other leading Nonconformist ministers, fitted up a room for public service and gathered a congregation, composed chiefly of the old Commonwealth officers. Meanwhile he was incessantly writing; and in 1667 he published his Catechism, which led to a proposal from Baxter for union. Various papers passed, and after a year the attempt was closed by the following laconical note from Owen: ” I am still a well-wisher to these mathematics.” It was now, too, that he published the first part of his vast work upon the Epistle to the Hebrews. In 1669 Owen wrote a spirited remonstrance to the Congregationalists in New England, who, under the influence of Presbyterianism, had shown themselves persecutors. At home, too, he was busy in the same cause. In 1670 Parker attacked the Nonconformists in his own style of clumsy intolerance. Owen answered trim; Parker repeated his attack; Marvell wrote The Rehearsal Transprosed; and Parker is remembered by this alone. At the revival of the Conventicle Acts in 1670, Owen was appointed to draw up a paper of reasons which was submitted to the House of Lords in protest. In this or the following year Harvard university invited him to become their president; he received similar invitations from some of the Dutch universities. Contains a lengthy biography of Owen, and miscellaneous letters and sundry items pertaining to his life. The Nature and Power of Temptation. This volume contains Vindicae Evangelicae (or, The Mystery of the Gospel Vindicated), part 1. A Dissertation on Divine Justice. The Person and Satisfaction of Christ. “Gospel Grounds and Evidences of the Faith of God’s Elect”. 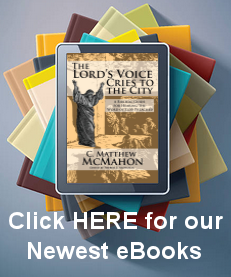 “Meditations and Discourses on the Glory of Christ, in His Person, Office, and Grace”. Phronema toi Pneumatos (or, The Grace and Duty of Being Spiritually-Minded). A Humble Testimony unto the Goodness and Severity of God in His Dealing with Sinful Churches and Nations. A Country Essay for the Practice of Church Government There – pdf, 38 pp. This volume contains forty-five sermons and fourteen short discourses of practical cases of conscience. “The State and Fate of the Protestant Religion”. “The Church of Rome No Safe Guide”. An Inquiry into the Original Nature, Institution, Power, Order, and Communion of Evangelical Churches.